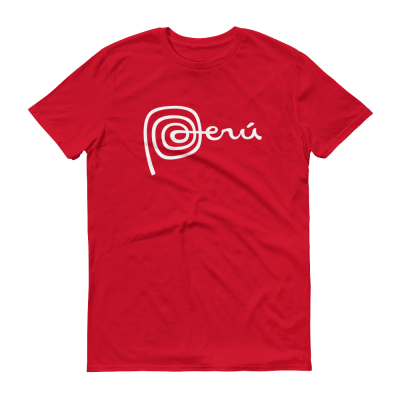 Men’s Nazca Lines Monkey Marca Peru T-Shirts, 100% cotton.Ring-Spun Fabric.Short Sleeve.Regular Size.Printed in U.S.A. The Nazca lines, located in Southern Peru, are symbolic of the country’s history. The Nazca lines feature various images, one of which is the monkey (featured in this shirt). The monkey’s tail is linked with the remaining letters of the “Marca Peru,” creating a combination of Peruvian symbols. 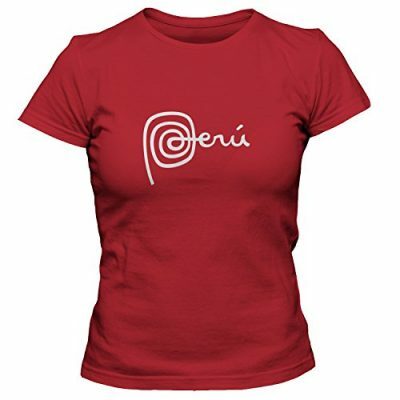 Women’s Peruvian Cotton T-Shirt Marca Peru, 100% Cotton , Printed on demand in the USA, High quality, tagless 100% cotton preshrunk jersey.